I know that automatic login feature (either on Windows or Linux) is a very-very bad idea. But sometimes this feature is still needed, especially for computers that are used for public area and do not have confidential data. 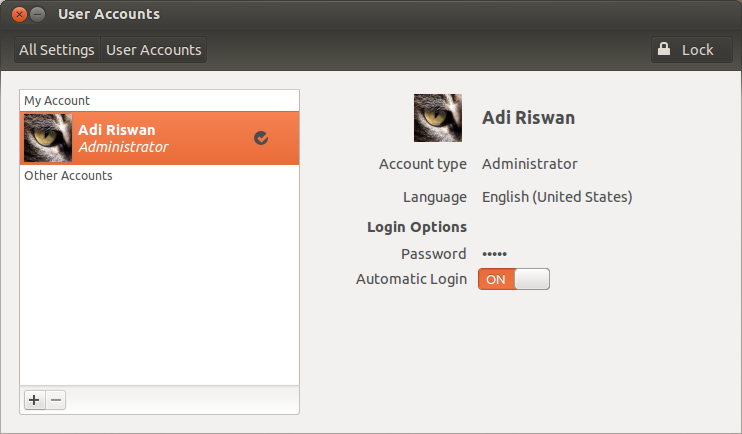 On Ubuntu, you can switch on the feature easily. Open up the HUD, type 'setting' then choose the appeared System Setting icon. Next, choose the User Accounts module, unlocked it first, then slide the Automatic login switch to ON. Now, you can test it by reboot it once, and Ubuntu won't ask you for password to login.